Finding the Universal Laws That Are There, Waiting . . . Nature abhors a vacuum. Gravitational force is inversely proportional to the square of the distance between two objects. Over the course of evolution, each species develops larger body sizes. If something can go wrong, it will. Such are some of nature's laws as handed down by Aristotle, Newton, Edward Cope and Murphy. And regardless of their varying accuracy (and seriousness), it takes an enormous amount of daring to posit them in the first place. Think of it: asserting that what you observe here and now is true for all times and places, that a pattern you perceive is not just a coincidence but reveals a deep principle about how the world is ordered. If you say, for example, that whenever you have tried to create a vacuum, matter has rushed in to fill it, you are making an observation. But say that "nature abhors a vacuum" and you are asserting something about the essence of things. Similarly, when Newton discovered his law of gravitation, he was not simply accounting for his observations. It has been shown that his crude instruments and approximate measurements could never have justified the precise and elegant conclusions. That is the power of natural law: the evidence does not make the law plausible; the law makes the evidence plausible. But what kind of natural laws can now be so confidently formulated, disclosing a hidden order and forever bearing their creator's names? We no longer even hold Newton's laws sacred; 20th-century physics turned them into approximations. Cope, the 19th-century paleontologist, created his law about growing species size based on dinosaurs; the idea has now become somewhat quaint. Someday even an heir to Capt. Edward Aloysius Murphy might have to modify the law he based on his experience about things going awry in the United States Air Force in the 1940's. So now, into the breach comes John Brockman, the literary agent and gadfly, whose online scientific salon, Edge.org, has become one of the most interesting stopping places on the Web. He begins every year by posing a question to his distinguished roster of authors and invited guests. Last year he asked what sort of counsel each would offer George W. Bush as the nation's top science adviser. This time the question is "What's your law?" "There is some bit of wisdom," Mr. Brockman proposes, "some rule of nature, some lawlike pattern, either grand or small, that you've noticed in the universe that might as well be named after you." What, he asks, is your law, one that's ready to take a place near Kepler's and Faraday's and Murphy's. Everything answers to the rule of law. Nature. Science. Society. All of it obeys a set of codes...It's the thinker's challenge to put words to these unwritten rules. Do so, and he or she may go down in history. 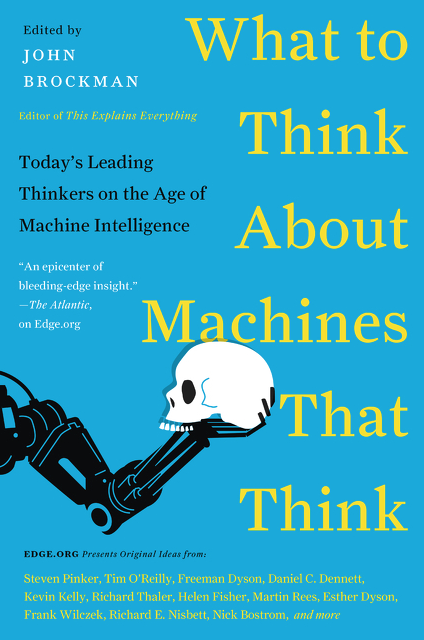 Like a Newton or, more recently, a Gordon Moore, who in 1965 coined the most cited theory of the technological age, an observation on how computers grow exponentially cheaper and more powerful... Recently, John Brockman went looking for more laws. ..."It's interesting to sit back and watch this crowd move the question in different directions that I hadn't intended," says Brockman, who has been posting answers to the annual question online since 1997... 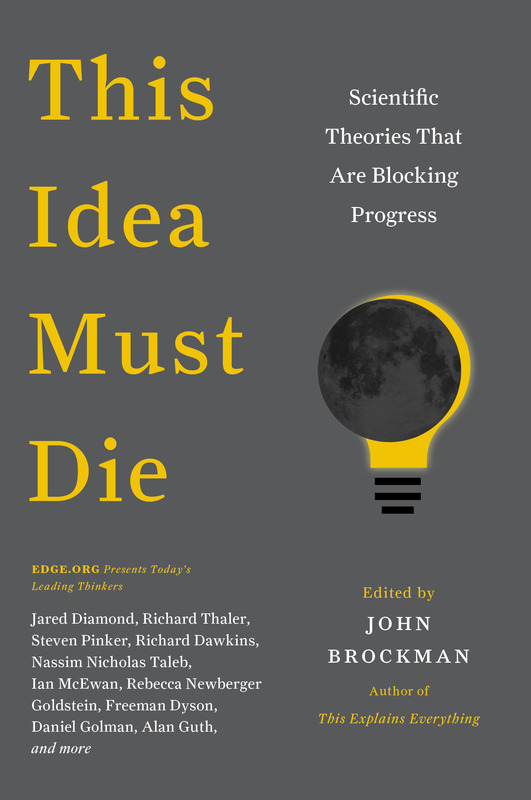 This year's results, published on edge.org, run the gamut from brainy principles to homespun observations in the tradition of Murphy's Law...If all this theorizing sounds a little high-flown, it's not, says Brockman. The important questions of life aren't restricted to an exclusive club - this just happens to be the intellectual company Brockman keeps.
" They're not sitting around looking at their work in awe and wonder," he says. 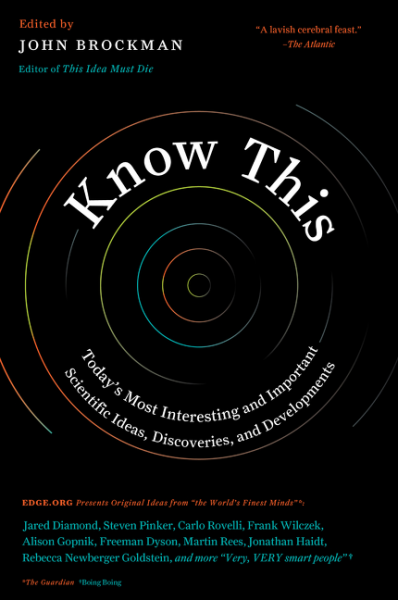 "They're looking at experiments and empirical results and asking, `Where do we go from here?'" ... As for choosing a favorite among the crop of submissions, Brockman invokes a law of his own: "Nobody knows, and you can't find out." The literary agent John Brockman, who makes over significant scientists into successful authors, has posted an intriguing question on his Edge website. 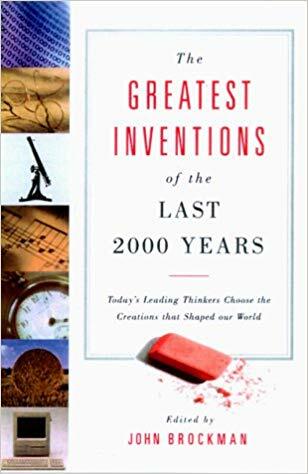 He seeks suggestions for contemporary "laws", just as Boyle, Newton, Faraday and other pioneers gave their names to the rules of the physical universe. (That eminent pair, Sod and Murphy, soon followed suit.) Brockman advises his would-be legislators to stick to the scientific disciplines, and you can find their responses at www.edge.org. Heisenberg has one, and so do Boyle and Maxwell: A scientific principle, law or rule with their moniker attached.... It isn't every day that a researcher discovers the uncertainty principle, an ideal gas law, or the mathematical structure of electromagnetism. And ours is the era of real-estate moguls, phone companies and others slapping their name on every building, stadium and arena in sight.... 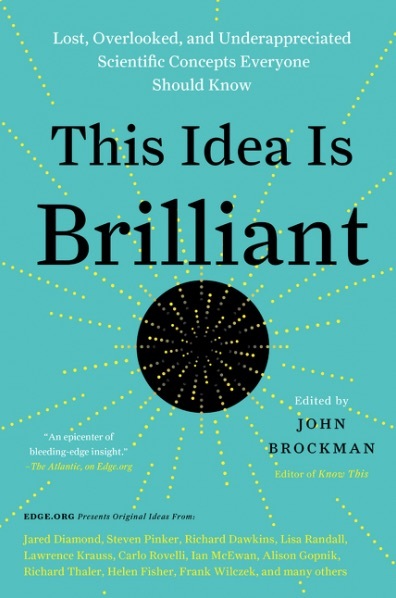 So, John Brockman, a New York literary agent, writer and impresario of the online salon Edge, figures it is time for more scientists to get in on the whole naming thing.... As a New Year's exercise, he asked scores of leading thinkers in the natural and social sciences for "some bit of wisdom, some rule of nature, some law-like pattern, either grand or small, that you've noticed in the universe that might as well be named after you. "...The responses, to be posted soon on Mr. Brockman's Web site www.edge.org, range from the whimsical to the somber, from cosmology to neuroscience...You can find other proposed laws of nature on the Edge Web site. Who knows? Maybe one or more might eventually join Heisenberg in the nomenclature pantheon.